Martinů’s Sonata for Flute and Piano was written in South Orleans on Cape Cod in 1945. It is dedicated to the Boston Symphony’s then-principal flautist, George Laurent, though the work’s 1949 premiere featured Lois Schaefer as the soloist. Its three movements follow the familiar fast-slow-fast pattern. 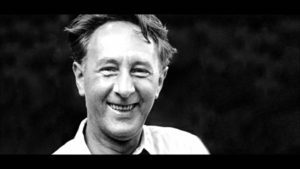 In the finale, Martinů was particularly intrigued by an indigenous bird call – that of the whippoorwill – whose triadic song is imitated six times during the course of the movement. Janáček wrote his String Quartet no. 1 very quickly – in under ten days in the autumn of 1923 – basing it on Tolstoy’s rather grim novella, Kreutzer Sonata. The book follows the tale of a pianist trapped in an unhappy marriage; her husband suspects her of having an affair with a violinist (with whom she’d played Beethoven’s Kreutzer Sonata) and, in a fit of rage, murders her. Why this story? At the time, Janáček was unhappily married, himself, and infatuated with a certain Kamila Stösslová, a married woman nearly forty years his junior. His feelings for her were ultimately unreturned, though he wrote her copiously from when they first met in 1917 and she was with him when he died. We can infer, then, that Tolstoy’s study of the destructive powers of love and music resonated with Janáček. The Quartet’s four movements don’t follow the novella’s plot; rather, they offer an expressive and psychological commentary on the action. In the first, anxious, passionate motives weave an atmosphere of remarkable intensity. The second gambols brightly, only for the gaiety to be interrupted by icy, sul ponticello phrases and an incessant accompaniment that becomes increasingly violent. Beethoven’s ghost makes an appearance in the opening theme of the third movement (an allusion to a theme from the actual Kreutzer Sonata), but repeated, frenzied interjections constantly unsettle the mood. The finale, which echoes materials from the earlier movements (especially the first), is cut from similar cloth; it builds to a despairing final cadence. 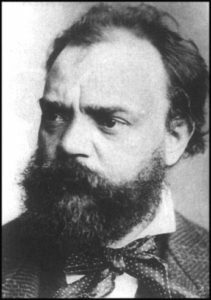 Dvorak’s A-major Piano Quintet was actually his second work in the genre: an earlier effort was suppressed and only published in 1959. The present score, though, dates from Dvorak’s maturity and, when his creativity was flowing over those years, his output was second-to-none. That’s perfectly evident in the A-major Quintet. In its first movement, a pair of contrasting themes emerge: the first, played by the cello at the very start, is dreamy and lyrical. The second is rather relaxed, too, but in the minor mode. Both are put through their paces, shifting between contrasting moods, textures, and modalities. Similar procedures are at work in the second-movement dumka, with its brooding, minor-key first theme (initially played by the viola) and bright, major-key second one. A spirited Vivace intrudes into the middle of this otherwise-leisurely movement, offering a few minutes of peppy, contrapuntal contrast, before the ruminative opening themes return to close things out. The Quintet’s last two movements, by comparison, are almost entirely sunny. First comes a Scherzo of unalloyed exuberance. Then the finale kicks off with a little syncopated figure that turns into an unbridled romp: here the shifts from major to minor and back again offer no threats of emotional storminess, just vigorous displays of musical athleticism.